CA large part of going camping is the packing and planning. That’s where camping checklists come in handy. it is important to prepare in advance to avoid leaving important items behind. When you create your own customized camping list you can be assured of having all the things that make your camping trip a success. 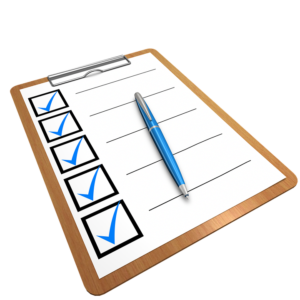 While some may not find the items you list as important as you do, neither will you find the items on their list to be in the same priority order you would have chosen. That’s what makes all campers unique. You may want to have your contact lenses with you and another camper may choose to leave them behind and wear their glasses.